Help make a difference in the lives of our Neighbors in Need. Neighbors Helping Neighbors Donating warm hats, gloves, scarves to Brotherhood Synagogue Men's Homeless Shelter. We are grateful to our neighbors for their support of our many Neighbors Helping Neighbors Projects! Neighbors Helping Neighbors: A final plea for help! Neighbors Helping Neighbors: Plea for help! Neighbors Helping Neighbors: We recently sponsored tickets to Metropolitan Opera House for children in NYTB's Project LIFT. Neighbors Helping Neighbors: Congrats to NY Theatre Ballet's Rebecca Seow graduating from Frank Sinatra School of the Arts. Neighbors Helping Neighbors: 13th Pct Remembrance Garden planted for Memorial Day Planted Easter, Memorial Day, 9/11 & Christmas. GPBA plaque reads "NYPD YOU MAKE US PROUD." 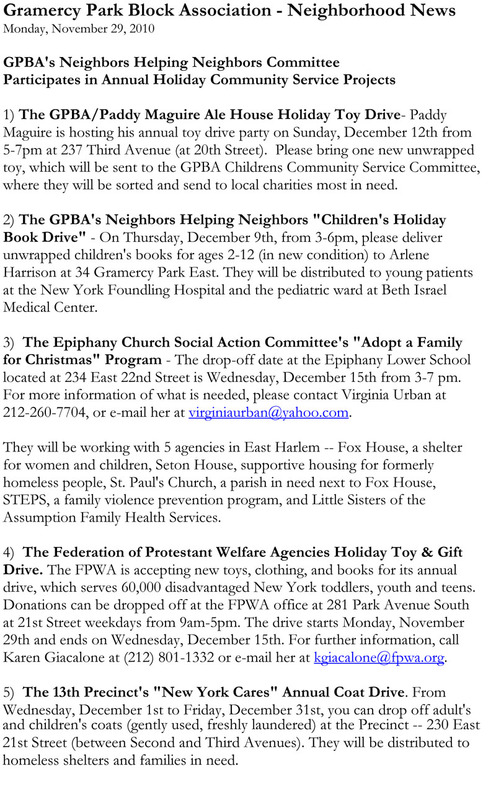 Our GPBA focus for the holiday season is Neighbors Helping Neighbors , where our Gramercy Park community works together to support our less fortunate neighbors. Happy Thanksgiving from the GPBA! Every day we are grateful to our Veterans for their service! Neighbors Helping Neighbors: Thanks to our many neighbors who supported our annual Back to School Drive for city shelter children! Since 1989, the Gramercy Park community has been involved in Project LIFT. LIFT provides ballet scholarships, tutoring, mentoring, medical care, clothing and other support services for homeless/at-risk children living in city shelters. Neighbors Helping Neighbors: Thanks to the generosity of our Gramercy Park neighbors, our pantry drive for St. George's Common Table was a great success! Neighbors Helping Neighbors: Thanks to Paddy Maguire and the generosity of our neighbors, our Annual Holiday Toy Drive was a huge success! Our Dear Friend Emergency Service Truck #1 Detective James Coll: " Words matter: The deadly rhetoric of the anti-cop movement"
Neighbors Helping Neighbors: Thanks to our neighbors for supporting our Children's Book Drive! Trustees of Gramercy Park: Christmas Tree Arrives in Gramercy Park Today! Neighbors Helping Neighbors: Many thanks to our Neighbors for their tremendous support of our annual Back to School Drive for city shelter children! Thanks to Paddy Maguire and the generosity of our neighbors our Annual Holiday Toy Drive was a great success! A project of the Epiphany Church Social Action Committee for 5 social service agencies in Harlem Read. Each year Gramercy Park neighbors provide books, educational supplies, clothing, toys for children in need. Read. Neighbors Helping Neighbors provides Thanksgiving volunteers and dinner. SushiSamba Owner to Open Spanish Eatery in Old Park Ave South Space at 20th St.
WTC Relief Effort Organized by the GPBA. A recorded oral history given by Arlene Harrison and documented history of GPBA's relief efforts are now permanently installed at the National September 11 Memorial Museum ...Read more. The Gramercy Park Block Association organizes charitable initiatives through their Neighbors Helping Neighbors (NHN) program so that the Gramercy Park community can work together to give back to less fortunate neighbors ...Read more. Since a major focus of the GPBA is 'Neighbors Helping Neighbors, Taking Care of our Neighbors in Need,' we have been involved in New York Theatre Ballet's Project LIFT since Artistic Director Diana Byer founded it in 1989 ...Click here to read more. Easter Basket Project Special thanks to GPBA Board Member Kathleen Scupp for assembling beautiful Easter baskets for children in need, which is part of the GPBA's year-round Neighbors Helping Neighbors initiative ...Click here to read more. Thanks to our neighbors on Gramercy Park, The Gramercy Park Block Association Neighbors Helping Neighbors recently donated clothing, educational supplies, and furniture to Calvary-St. George's programs to benefit those in need. We'd like to thank our hundreds of Gramercy Park neighbors for their donations of pantry supplies to our GPBA Neighbors Helping Neighbors' Annual Pantry Drive for Kenmore Hall. Kenmore Hall ...Click here to read more. Thanks to the generosity of our neighbors who participated in our GPBA's Annual Fund, Neighbors Helping Neighbors was able to send donations of clothing, furniture, baby items, toys, books and other supplies to Nazareth Housing. 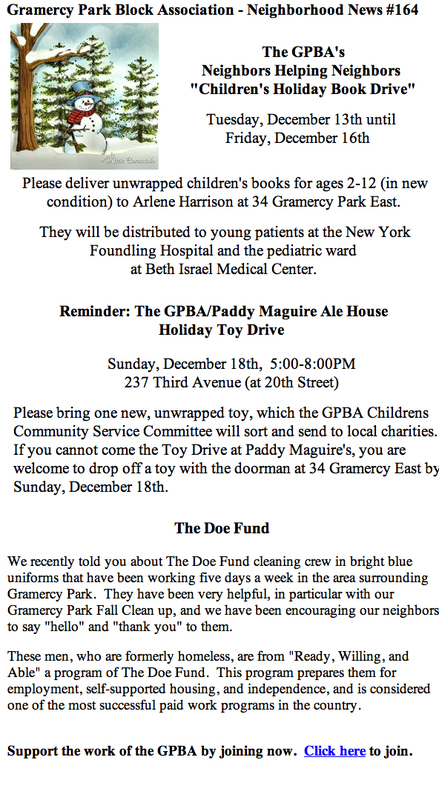 Every year The Gramercy Park Block Association members join Paddy Maguire's Ale House at 237 Third Avenue at 20th Street for an annual toy drive. The GPBA's "Neighbors Helping Neighbors" Community Service Committee then sorts the toys ...Click here to read more. Once again, The Gramercy Park Block Association's Neighbors Helping Neighbors volunteers brought Thanksgiving cheer to hundreds of people. GPBA members, many with their young children, joined Rev. Jacob Smith and his wife Melina ...Click here to read more. A project of the Epiphany Church Social Action Committee for 5 social service agnencies in Harlem. To Adopt a Family, contact Virginia Urban at virginiaurban@yahoo.com and cc arlenesharrison@yahoo.com. 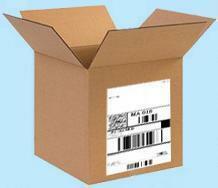 Drop off Wednesday ...Click here to read more. 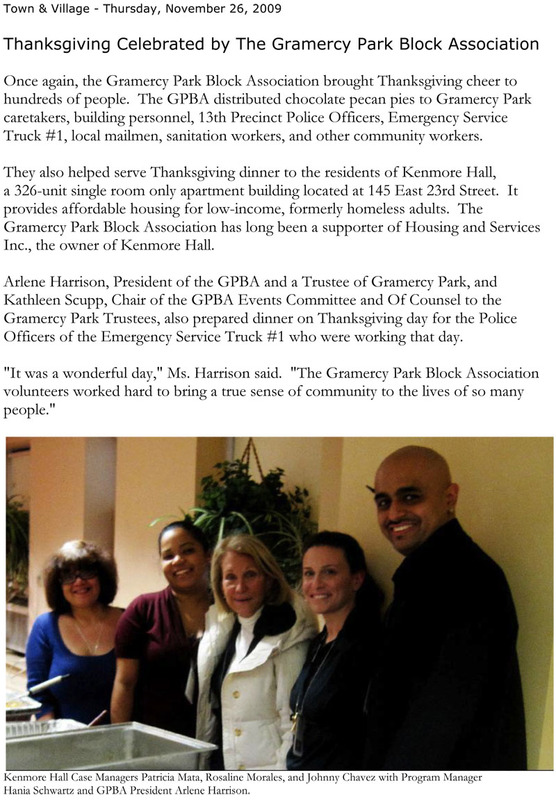 In preparation for The Gramercy Park Block Association's several Neighbors Helping Neighbors Thanksgiving projects, GPBA President Arlene Harrison and Emergency Service Truck #1 Detectives welcomed Fresh Direct donations ...Click here to read more. 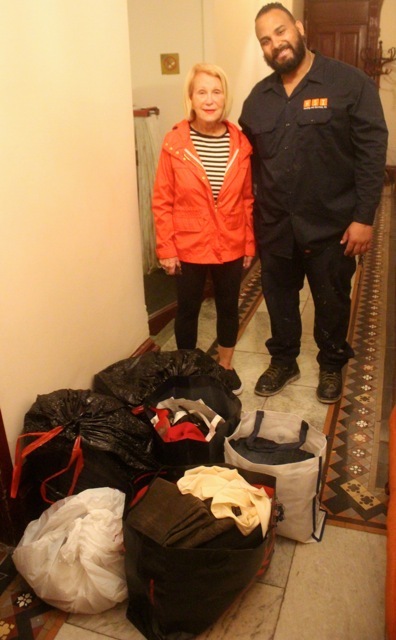 The Gramercy Park Block Association's Neighbors Helping Neighbors Committee recently sent 2 vans filled with donations to the Lower East Side Nazareth House, which provides homelessness prevention services, emergency ...Click here to read more. One year later, it is still hard to imagine the tragic loss of life and enormous devastation wreaked by Hurricane Sandy. For many months thousands were with no electricity, no heat, no gas, no hot water, no plumbing ...Click here to read more. Neighbors Helping Neighbors "Back to School Drive" - Thank You Gramercy Park Neighbors! A major focus of the GPBA's mission is "to promote the well-being" of our neighbors. Last week we had our First Annual Neighbors Helping Neighbors "Back to School Drive," to benefit children mainly from city homeless shelters. We'd like to thank ...Click here to read more. Since a major focus of our mission is "to promote the well-being" of our neighbors, please see our latest Neighbors Helping Neighbors project ...Click here to read more. The Gramercy Park Block Association once again thanked Fresh Direct for their shipment of over a hundred bouquets of flowers to the Gramercy Park community. "The word has spread throughout the area about Fresh Direct's generosity ...Click here to read more. Gramercy Park Doe Fund street cleaning crew reassigned "temporarily"
According to many Gramercy Park area residents, The Doe Fund's Ready, Willing, and Able street cleaning crew, who have worked in the area since 2011, have made a huge difference in the neighborhood's cleanliness and quality of life ...Click here to read more. New York will be safer thanks to a $5,685 grant to the New York Fire Department (FDNY) Ladder Company 3 located on east 13th St. between Third and Fourth avenues. Awarded by Integro Insurance ...Click here to read more. Paddy Maguire's Annual Holiday Toy Drive took place Sunday, December 16th at Paddy Maguire's at 237 Third Ave (at 20th St.). The Toy Drive benefitted ... Click here to read more. Please bring one new unwrapped toy and join us for dinner ...Click here to read more. It's hard to imagine that for thousands, there are still... No electricity, hot water or even a home to return to ... Families displaced or camping out ...Click here to read more. Thanks to the compassion and generosity of our neighbors, and working directly with Manhattan South Detectives, especially the Homicide Squad ...Click here to read more. Many of you have asked me how to volunteer for the Hurricane Sandty relief effort. The information below is from a few days ago. What is needed at each ...Click here to read more. No electricity, no gas, no heat, no water, no stores for food, no drugstores for medication, no plumbing, raw sewage, health and hygiene issues ...Click here to read more. Thanks to the generosity of our friends and neighbors, Calvary-St. George's Church was filled with thousands of boxes/bags of supplies ...Click here to read more. Thanks to the generosity of our friends and neighbors, we sent over 500 bags of supplies directly to storm victims. We are now focused on collecting ...Click here to read more. Last night, thanks to the generosity of our friends and neighbors, local responders picked up approximately 100 bags of essential supplies, going to ...Click here to read the full story. Several of our local responders in Midland Staten Island, Red Hook Brooklyn and Breezy Point Queens - three neighborhoods devasted by loss of life ...Click here to read the full story. A new street cleaning crew from The Doe Fund has just arrived in the Gramercy Park neighborhood. The crew dressed in bright blue uniforms will be working five ...Click here to read the full story. For the past two months, a street cleaning crew dressed in bright blue uniforms has been working five days a week in the Gramercy Park neighborhood ...Click here to read the full story. Dear Friend of the Gramercy Park neighborhood, We wish you a happy and a healthy New Year. We also want to thank our many neighbors who participated in and/or supported our recent community ...Click here to read the full story. 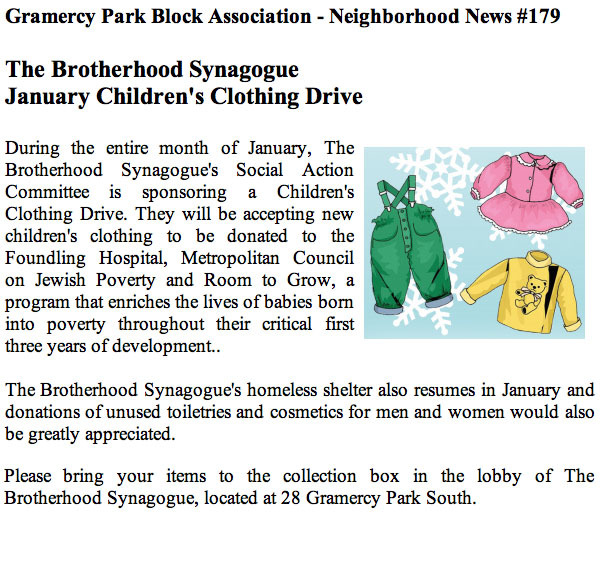 During the entire month of January, The Brotherhood Synagogue's Social Action Commitee is sponsoring a Children's Clothing Drive. They will be accepting new ...Click here to read the full story. Every year The Gramercy Park Block Assocaition members join Paddy Maguire's Ale House at 237 Third Avenue at 20th Street for their annual toy drive ...Click here to read the full story. Reminder: GPBA "Neighbors Helping Neighbors" Community Service Projects, Police Foundation Peter Figoski Scholarship Fund - As Officer Peter Figoski is ...Click here to read the full story. The GPBA's Neighbors Helping Neighbors "Children's Holiday Book Drive"
Please deliver unwrapped children's books for ages 2-12 (in new condition) to Arlene Harrison at 34 Gramercy Park East. They will be distributed to young ...Click here to read the full story. The Gramercy Park Block Association invites you to the 13th Precinct's "New York Cares" Annual Coat Drive, through Saturday, December 31st at the 13th Precinct. Drop off adult and children's coats (gently used, freshly laundered). They will be distributed to homeless ...Click here to read the full story. The Gramercy Park Block Association invites you to Paddy Maguire's Ale House Annual Holiday Toy Drive, Sunday, December 18th, 5-8pm, Paddy Maguire's Ale House, 237 Third Ave at 20th St.
Once again, The Gramercy Park Block Association brought Thanksgiving cheer to hundreds of people. Dozens of GPBA members, many with young children ...Click here to read the full story. Once again, as part of our Gramercy Park Block Association Community Service, we are participating in "Adopt a Family for Christmas." This project of the Epiphany ...Click here to read the full story. Many of you have been asking me about opportunities to volunteer for Thanksgiving. On Thanksgiving Day, Thursday, November 24th, The Gramercy ...Click here to read the full story. We've just received this from our dear friends at apple seeds, an indoor play space for children located at 10 West 25th Street between Broadway and Sixth Avenue ...Click here to read the full story. 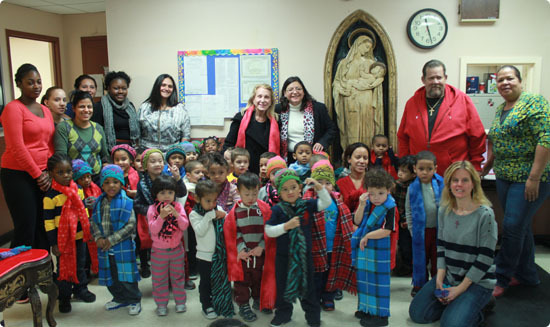 The Gramercy Park Block Association President Arlene Harrison picked up toys from Paddy Maguire after their Annual Holiday Toy Drive at Paddy Maguire's ...Click here to read the full story. Once again, The Gramercy Park Block Association brought Thanksgiving cheer to hundreds of people. 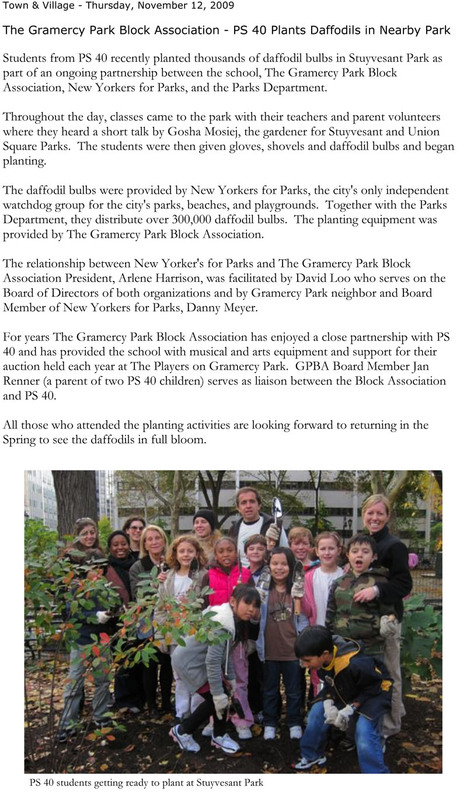 The GPBA distributed chocolate pecan pies to Gramercy Park ...Click here to read the full story. GPBA's Neighbors Helpding Neighbors Commitee Participates in Annual Holiday Community Service Projects: 1) The GPBA/Paddy Maguire Ale House Holiday Toy Drive - Paddy Maguire is hosting his annual toy drive party on Sunday, December 12th from 5-7pm at ...Click here to read the full story. 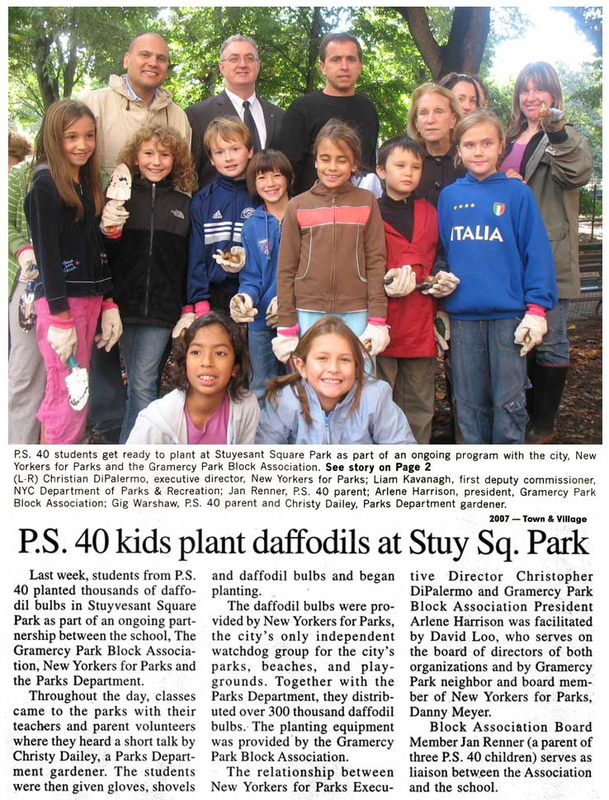 Students from PS 40 recently planted thousands of daffodil bulbs in Stuyvesant Square Park as part of an ongoing partnership between the school, The Gramercy Park ...Click here to read the full story. Once again members of the Gramercy Park Block Association joined their neighbors at Kenmore Hall at their annual Christmas dinner held on December 23rd. The ...Click here to read the full story. The Brotherhood Synagogue Homeless Shelter Needs Volunteers! For many years, the Gramercy Park Block Association has enjoyed a close partnership with our neighbors at the Brotherhood Synagogue located at 28 Gramercy Park ...Click here to read the full story. Every year at Christmas, Paddy Maguire's Ale House at 237 Third Avenue at 20th Street holds a toy drive. Paddy Maguire then sends the toys to The Gramercy Park Block ...Click here to read the full story. Students from PS 40 recently planted thousands of daffodil bulbs in Stuyvesant Park as part of an ongoing partnership between the school, The Gramercy Park Block ...Click here to read full story. Diana Byer spend the better part of Thursday night helping to point the toes of needy children in the right direction. "I certainly want to turn these students into good dancers," ...Click here to read full story. The Federation of Protestant Welfare Agencies (FPWA), located in the landmark Church Missions House building on East 22nd and Park Avenue South, recently ...Click here to read full story. Last week, PS 40 was honored and the Gramercy Park Block Association was recognized, at a Daffodil Project Benefit Breakfast sponsored by New Yorkers for Parks ...Click here to read full story. Alexandra Clark, a ninth grader at The Brearley School and a member of The Gramercy Park Block Association Children's Community Service Committee, recently ...Click here to read full story. 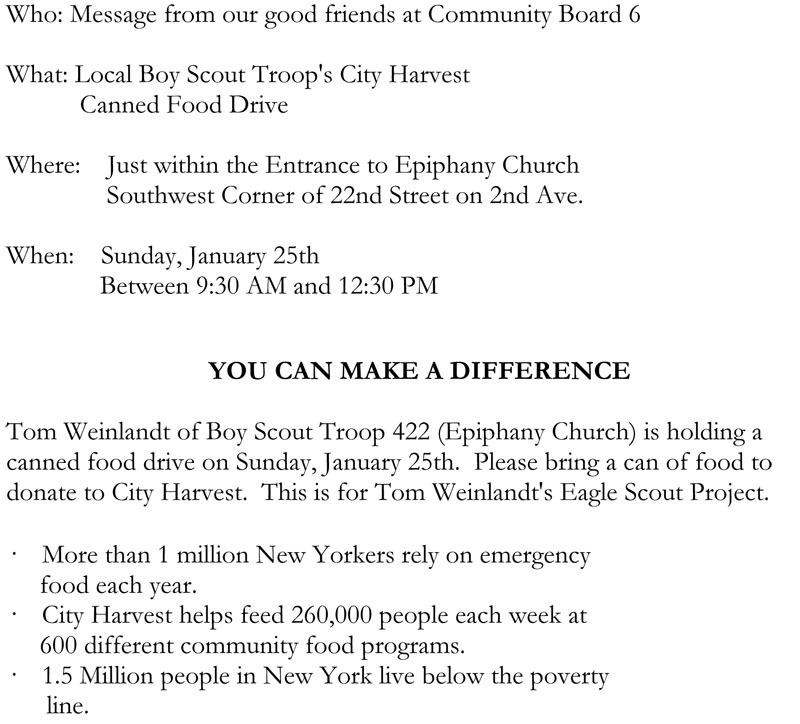 Tom Weinlandt of Boy Scout Troop 422 (Epiphany Church) is holding a canned food drive on January 25th. Please bring a can of food to donate to City Harvest. This is ...Click here to read the full story. You are invited to bring your holiday tree to this designated city park to be recycled into mulch. The mulch will nourish plantings across the city. Remember to ...Click here to read the full story. Many of you have asked me to let you know what Holiday Community Service activities the Gramercy Park Block ...Click here to read the full story. Once again, the Gramercy Park Block Association brought Thanksgiving cheer to hundreds of people. The Gramercy ...Click here to read the full story. 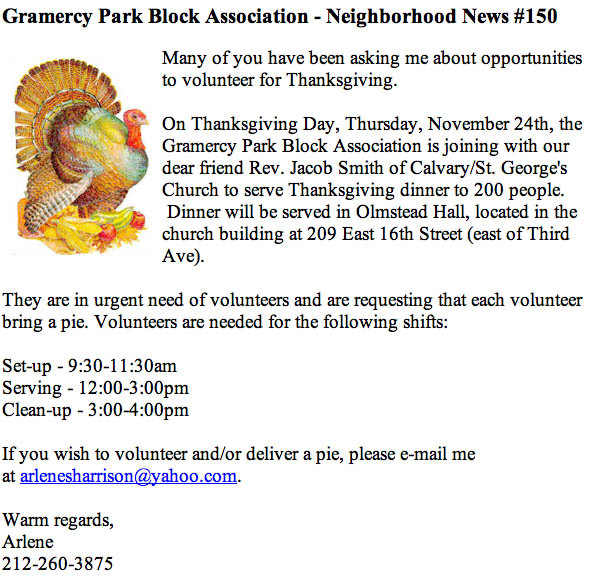 On Thanksgiving Day, Thursday, November 27th, the Gramercy Park Block Association is joining with our ...Click here to read the full story. Last week, students from PS 40 planted thousands of daffodil bulbs in Stuyvesant Park as part of an ongoing ...Click here to read the full story. 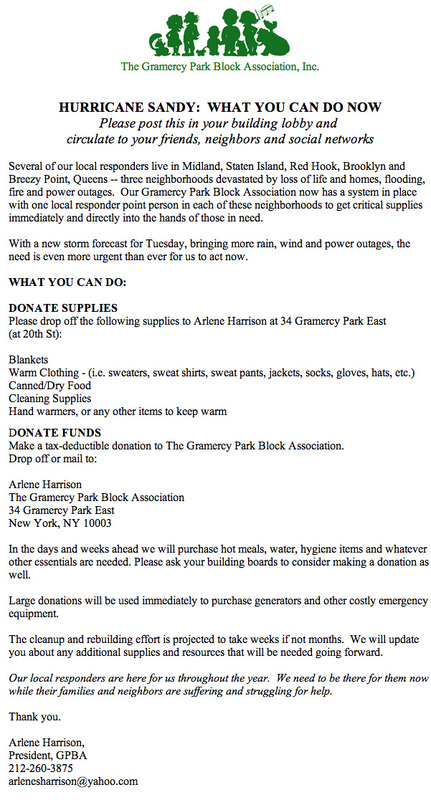 Many of you have contacted me recently to ask if the Gramercy Park Block Association has a Thanksgiving Fund. ...Click here to read the full story. Every year at Christmas, Paddy Maguire's Ale House at 237 Third Avenue at 20th Street holds a toy drive. They then send the toys to the Gramercy ...Click here to read the full story. Once again members of the Gramercy Park Block Association joined their neighbors at Kenmore Hall at an early Christmas dinner on Tuesday, December 18th ...Click here to read the full story. Thanksgiving came early at Kenmore Hall this year when members of the Gramercy Park Block Association showed up to serve a holiday feast for the residents ...Click here to read the full story. Last week, students from PS 40 planted thousands of daffodil bulbs in nearby parks as part of an ongoing partnership between the school, the Gramercy Park Block Association, New Yorkers for Parks, and the Parks Department ...Click here to read the full story. Hundreds gathered in Madison Square Park on Tuesday night for the annual Flatiron chefs culinary event and fundraiser ...Click here to read full story. Kenmore Hall Recreation Director Kevin Richardson, Housing and Services Director of Development and Communications Jessica Ziegler, Housing and Services Executive Director Larry ...Click here to read the full story. The Gramercy Park Block Association helped serve Thanksgiving dinners to the residents of Kenmore Hall, as well as police officers, park caretakers and others ...Click here to read the full story. On a beautiful sunny day last Friday, May 5th, the Augustus St. Gauden's playground on Second Ave. between 19th and 20th Streets was transformed into a ...Click here to read the full story. Medical tests conducted by a local health center on 9/11 responders and lower Manhattan residents found very high ...Click here to read the full story. The GPBA's Children's Community Service Committee Chair Eliza, and her brother Alexander accompanied by Arlene S. Harrison, President of the GPBA helped spread holiday cheer by serving meals at a Christmas dinner for low-income New Yorkers residing at ...Click here to read the full story. The Augustus St. Gaudens playground on Second Avenue and the adjoining Peter's Field were brimming with PS 40 fourth graders last month, but the students were not there to play. As part of a unique partnership between the School, the City and local community ...Click here to read the full story. The GPBA with the support of Reverend Thomas F. Pike, the Rector of Calvary/St. George's Church, has commenced the second stage of neighbors Helping Neighbors Hurricane Katrina Relief Effort, donating $2,500 to help furnish new homes that are being built for ...Click here to read the full story. The Children's Community Service Committee for the GPBA, led by Eliza and her brother Alexander, celebrated the Thanksgiving Holiday by delivering homemade pies and cards to say thanks to the many individuals and groups ...Click here to read the full story. The 23rd Street Association held its 33rd Annual Distinguished Citizen Award Luncheon, Chaired by Arlene Harrison. This year Jerome M. Cohen, Chairman of Williams Real Estate Co. Inc. was honored for his service and ...Click here to read the full story. The GPBA with the support of Reverend Dr. Thomas F. Pike, The Rector of CalvarySt. George's Church, has concluded the first phase of the Neighbors Helping Neighbors Hurricane Katrina ...Click here to read the full story. Numerous community groups have banded together to help gulf state residents affected by Hurricane Katrina. The Gramercy Park Block Association told T&V on Monday that it had received hundreds of boxes ...Click here to read the full story. Gramercy Park area residents are invited to participate in the Neighbors Helping Neighbors Hurricane Katrina Relief Effort organized by the GPBA. Residents who wish to donate clothing ...Click here to read the full story. The GPBA provides volunteers to help support local homebound residents. The GPBA provides volunteers to help support this homeless shelter program. The GPBA provides volunteers to help support this program. The GPBA provides provides food for their Thanksgiving Homeless Program. The GPBA is working with Olive Leaf Wholeness Center to facilitate health services for uniformed service personnel and rescue workers stationed at Ground Zero from 9/11/01 - 5/31/02. Based on the success of this pilot project, the program...Click here to read the full story. The GPBA working in partnership with the 23rd Street Association and P.S. 40, have brought about approval from the Parks Department to totally renovate ...Click here to read the full story. In keeping with its tradition the GPBA once again this year initiated numerous Thanksgiving programs in which it and its members gave thanks to the many individuals and groups that serve the Gramercy ... Click here to find out more. The 23rd Street Association honored Carl Michael Gambino, Senior Vice President and Regional Administrator for the North Fork Bank with a Distinguished Citizen...Click here to read the full story. A former Army Ranger and Infantry officer who served with the 82nd Airborne Division honored his fallen brothers who have been killed as a result of Operation Enduring Freedom in Afghanistan and Operation Iraqi Freedom with a unique photo ...Click here to read the full story. The staff of Kenmore Hall at the 10th anniversary of federal takeover of the Kenmore located at 145 E. 23rd Street ...Click here to read the full story. Local hero Police Officer Scott Kimmins, whose thorough documentation of drug trafficking and related crimes at the infamous Kenmore Single Room ...Click here to read the full story. Arlene Harrison, President of the GPBA presents Explorer Post 1313 with a donation for new uniforms at a Christmas party sponsored by the Block Assoc. ...Click here to read the full story. Cabrini Medical Center officials are calling their second annual art auction a success ...Click here to read the full story. The Gramercy Park Block Association has announced that it is working with Park residents to create a central ...Click here to read the full story. Housing and Services, Inc. (HSI) the non-profit housing development organization, that rehabilitated the Kenmore Hall four years ago celebrated its 16th anniversary at a fundraising luncheon March 10 at the ...Click here to read the full story. A Gramercy Park soldier has launched a drive to show support and love for American men and women serving with his former unit in Afghanistan. Nick Cohen, 28, is asking residents to write letters to the troops of the Parachute Infantry ...Click here to read the full story. The GPBA organized a partnership with the Edwin Gould Foundation for Children, the Edwin Gould Academy, and Housing & Services, Inc. The local not-for-profits are ...Click here to read the full story. Arlene Harrison, President of the GPBA, along with volunteers Lisa Anastasi and Lisa Bonet of the Edwin Gould Foundation for Children, provide a home-cooked Thanksgiving Dinner for the ...Click here to read the full story. Fighting a killer disease can be a foreboding, lonely experience that tests the endurance of the human body and the existing technological breakthroughs. It wasn't long ago that leukemia was ...Click here to read the full story. The Young Adult Institue, located in Gramercy Park, held its annual Christmas party last week. YAI is a health and human service organization serving individuals with disabilities and their families ...Click here to read the full story.